James Rielly, Le Box, Bourges, France, 2014. 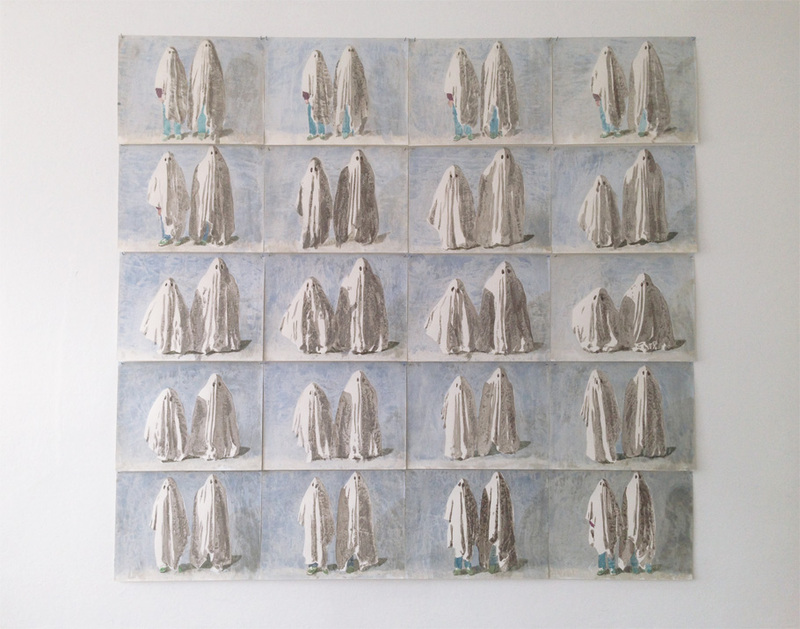 James Riellu, Ghosts series, 2015, watercolor on paper, 21 x 29.7 cm each. James Rielly’s studio in France. James Rielly, Random acts of kindness, 40 small paintings. Sensation Exhibition, Royal Academy of Arts, London. 18 September- 28 December 1997. 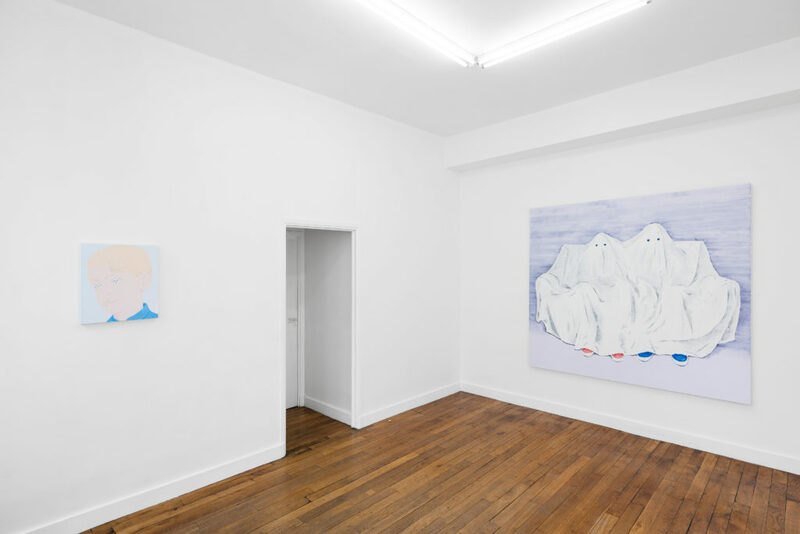 James Rielly, Only happy when you’re happy, 2017, oil paint on linen, 204 x 183 cm. 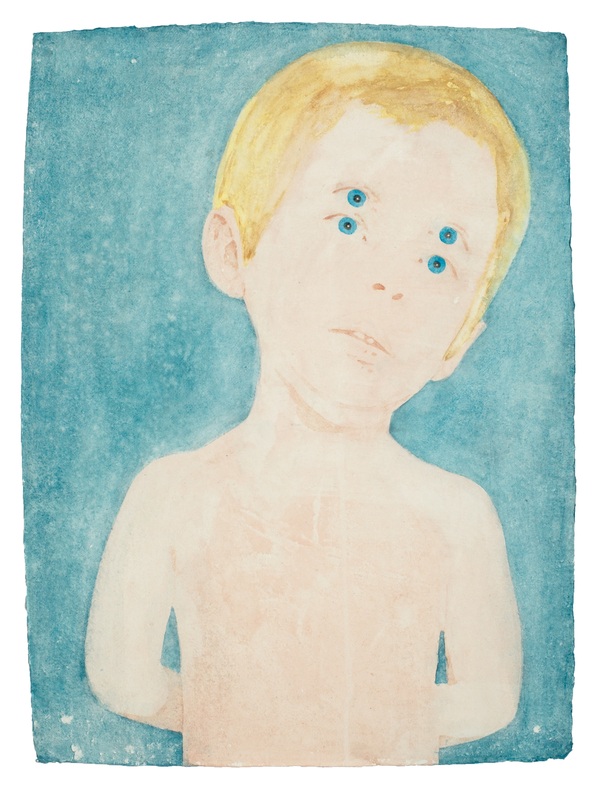 James Rielly, Born with a plastic spoon, knife and fork in my mouth, watercolour on paper, 84 x 119 cm. 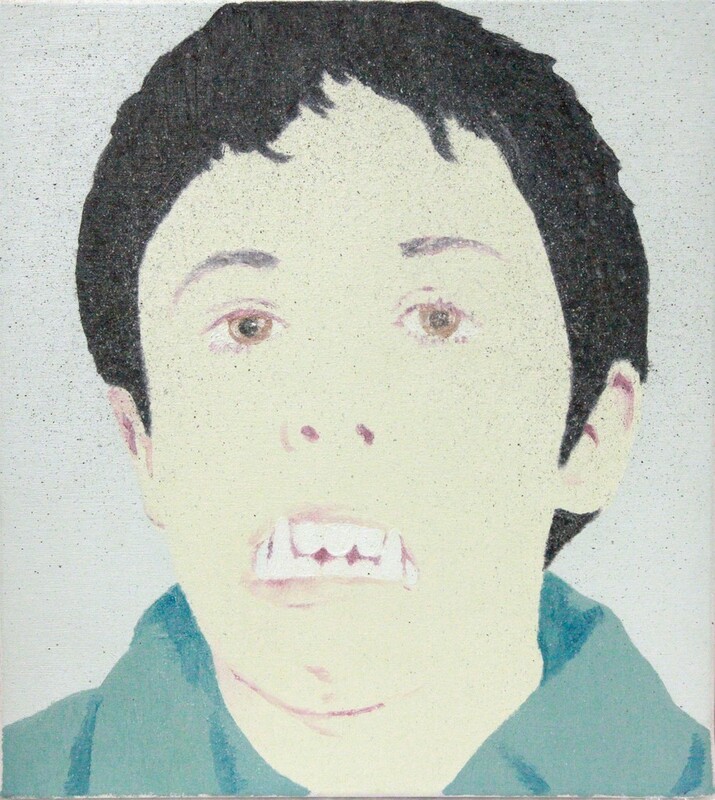 James Rielly, The boy with sad eyes, 2018, oil paint on linen, 51 x 46 cm. James Rielly, Without rhyme or reason, In love, 2017, oil paint on linen, 183 x 204 cm. James Rielly, Good at telling the truth, 2014, watercolour on paper, 28 x 38 cm. 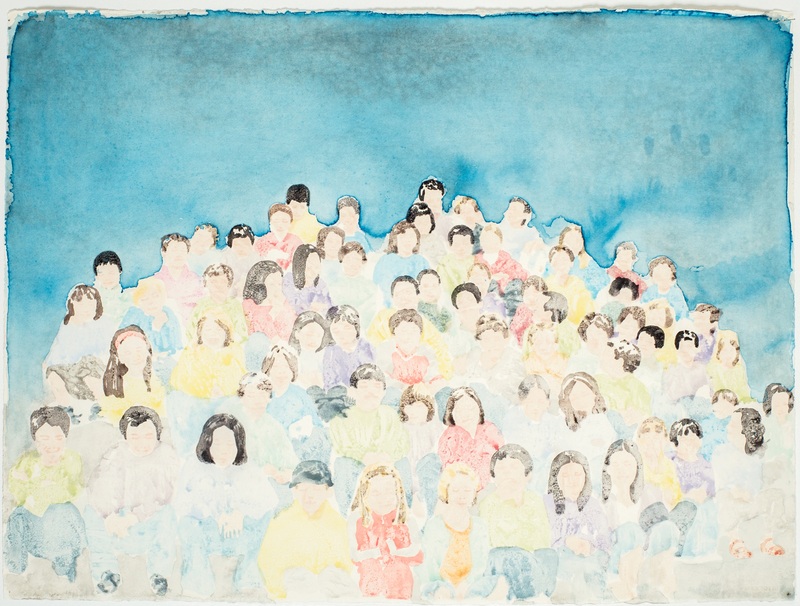 James Rielly, 67 or 68, 2006, watercolour on paper, 56.9 x 76.2 cm. James Rielly, Inner Voices, 1996, oil on canvas, 50.5 x 45.5 x 3 cm. 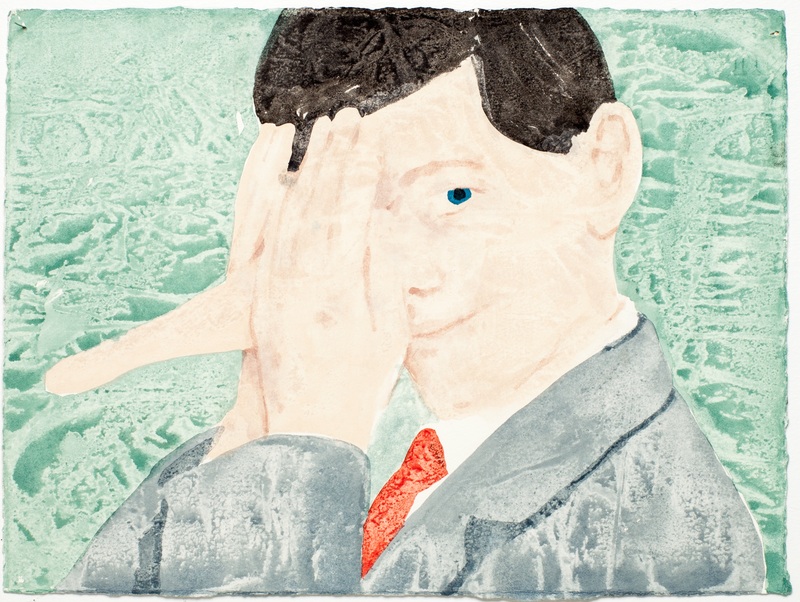 James Rielly, Four Eyes, 2012, watercolour on paper, 77 x 57 cm. James Rielly was born in Wales (UK) in 1956. He currently lives and works between Paris (FR) and the South of France. 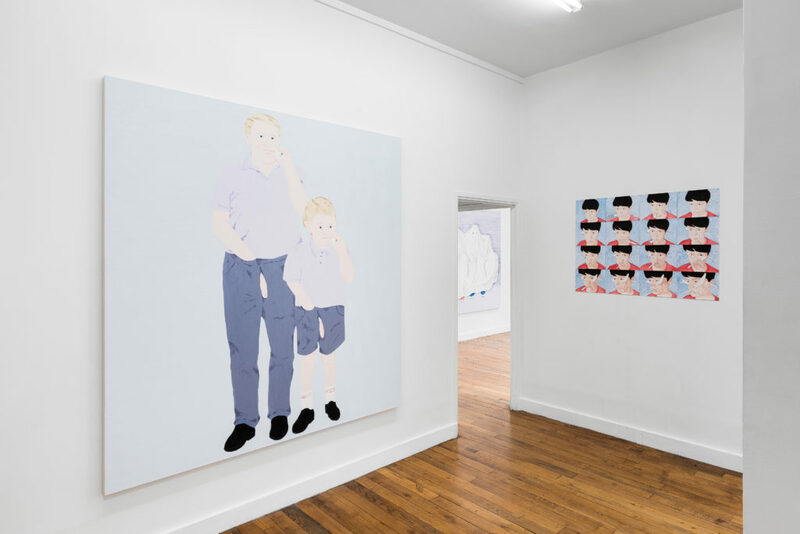 The highly characteristic works of British painter James Rielly focus on the clichés, ideologies and metaphors of children. Creating subversive and at times surreal portraits of bright-eyed, school-aged youths, Rielly addresses notions of societal tension and pictorial tradition. 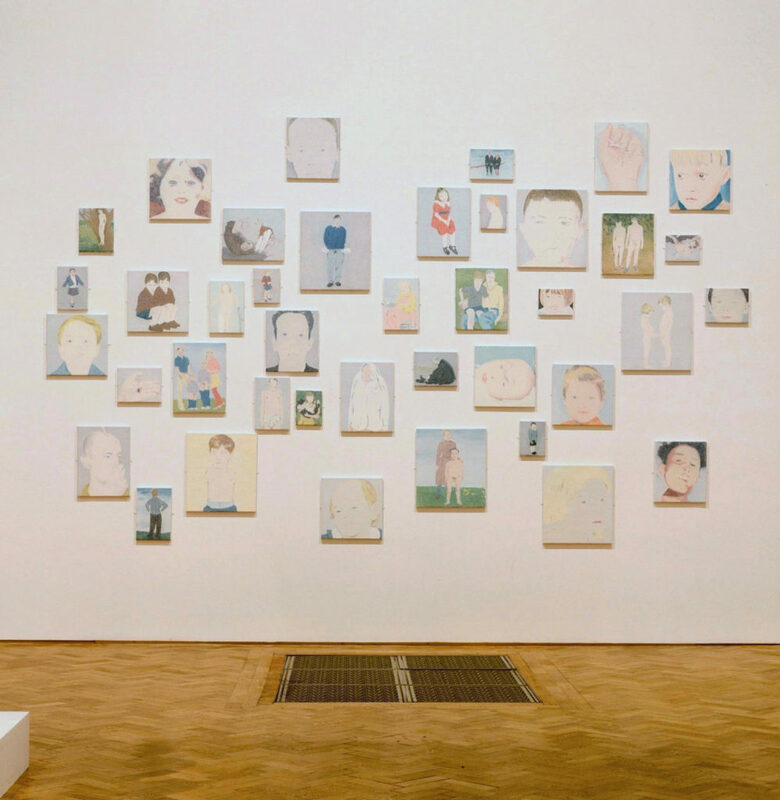 His most well-known series are Casual Influences (2000) and Sensible Ways (96-97), which consist of large-scale portraits inspired by stories and images taken from local newspaper articles. Through the act of highlighting certain features and roles in children, Rielly’s pieces bring out the dysfunctional nature of adults. Rielly has shown his paintings in a number of solo exhibitions since 1983 including Musée des Beaux-Arts de Nantes, Nantes, France, Spencer Brownstone Gallery, New York, Fond Regional d’Art Contemporain Auvergne, Clermont-Ferrand, Centro de Arte de Salamanca (CASA), Salamanca, Spain, Centre d’Art Neuchâtel, Switzerland, and Scott White Contemporary Art, La Jolla, CA, among many others. In 1995 he was awarded a MOMART fellowship at Tate Gallery and in 1997 he was shortlisted for the Jerwood Prize. He has been Professor of Painting at the Ecole Nationale Supérieure des Beaux-Arts, Paris, France since 2006. Didier Semin. Translation by Cole Swensen. Stories for Mexican ghosts and children of all ages, GE Galeria, Mexico. 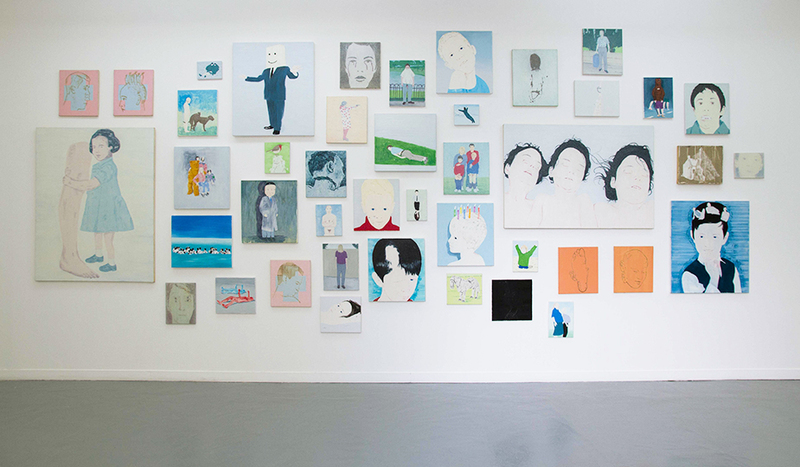 Casual Influences, Oriel Mostyn Gallery, Llandudno, Wales (cat.). Spoilt Rotten, Oriel Davies Gallery, Newtown, Wales. Outlook, curated by Christos Joachimedes, Benaki Museum, Athens (GR) (cat.). Once Again, curated by Jane Harris in collaboration with Stephen Foster, Director, John Hansard Gallery, Southampton (UK) (cat.). Brooklyn Museum of Art, Brooklyn, New York (USA) (cat.). Pure Fantasy, Oriel Mostyn Gallery, Llandudno, Wales. Men on Women, Oriel Gallery Theatre, Clwd, Wales. Richer, Francesca, Rosenzweig, Matthew, eds. 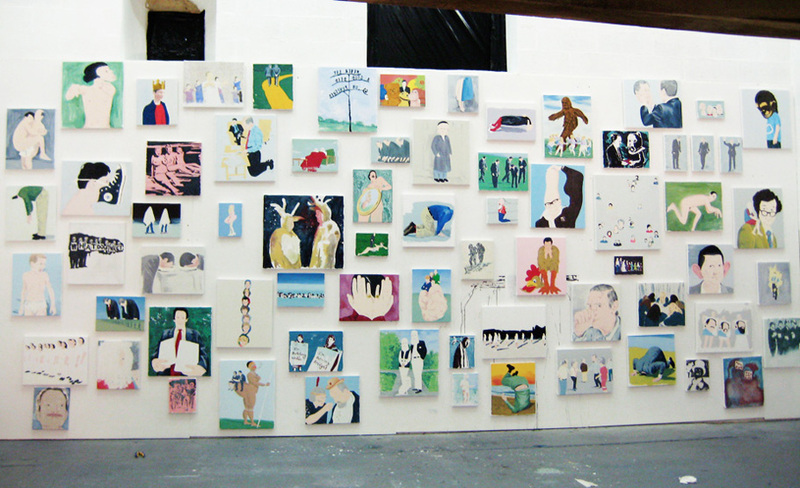 No 1: First Works by 362 Artists. Painting People, Charlotte Mullins, Thames and Hudson. James Rielly, Watercolours, essay by Martin Herbert. Timothy Taylor gallery, Galeria Ramis Barquet. Happy Birthday: 25 Years of Contemporary Art in the Deutsche Bank, James Rielly’Birdbox, 2003, colour illustrations, p.189. Sensation: Young British Artists from The Saatchi Collection (exhibition catalogue), texts by Brooks Adams, Norman Rosenthal, Richard Shone, Martin Maloney and Lisa Jardine, London: Thames and Hudson in association with the Royal Academy of Arts.